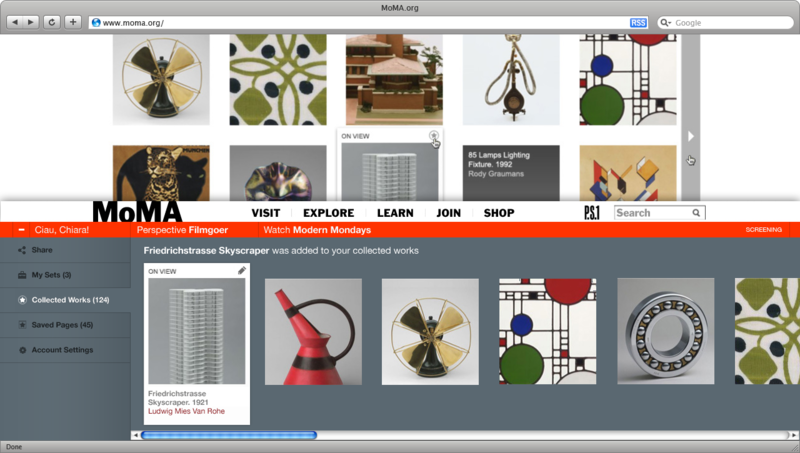 Social and personalized features for the MoMA.org website using ShiftSpace as a platform for social web applications. As a part of the project we have socialized the MoMA collections, allowing users to collect their favorite art-work, curate sets and share them with other users. 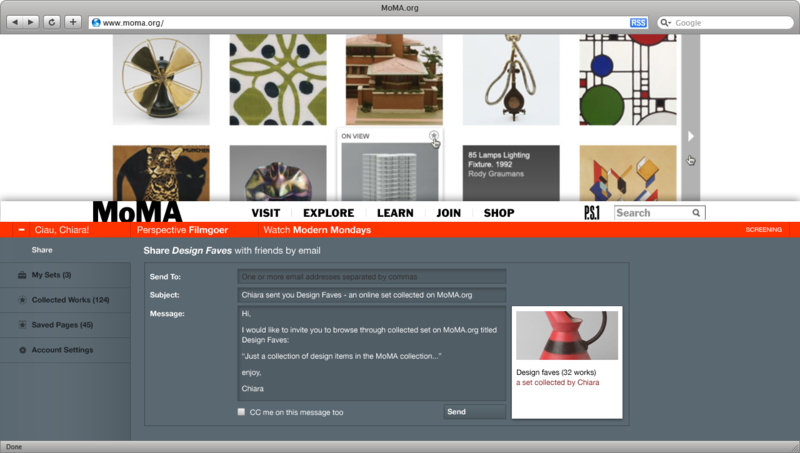 We have also interfaced the site with cellphone technology, and museum visitors can now send a text message and have an artwork saved to their online MoMA.org collection.